Always a pleasure working with the good folks at CBC Vancouver. VP - Sarah McLachlan Entertainment Corp.
CBC Vancouver has everything you need under one roof. I've never encountered a more enthusiastic and friendly group, they were genuinely thrilled to be a part of our project. We had a great experience filming our third season of Continuum at CBC Vancouver. CBC provides us with a unique, flexible space that people love. The technical team is world class. In the 30 years I've been working in the entertainment business, the CBC crew performed better than any other crew I've ever worked with. CBC made things as easy as they could have been for our Red Bull Mini Drome event. The CBC cares just as much as the client that the event executes flawlessly, and that every detail is given the utmost attention. Your staff were a great help during the whole filming process of The Flash. We work at many venues all over the city, it's nice to be with people that care not only about the place but about the success of the event as well. CBC Vancouver's event team was excellent to work with. New Balance have been full of high praise of the experience that was delivered in your building. I think your venue is amazing and your staff and services are awesome. CBC Vancouver is a tremendous group and they played a key role in the financial, operational and aesthetic success of the Monogram Dinner By Design event. CBC Vancouver makes our events a success! They provide us with exactly the kind of atmosphere and flexibility we seek. President, The Finer Details Event Planning Inc.
CBC Vancouver truly offered us a plug and play venue and made the planning process hassle free. Your team was a pleasure to work with. Our Pier 21 Annual Public Meeting was a huge success. The Google event was a huge success. Absolutely everyone on the CBC Vancouver team was a pleasure to work with. 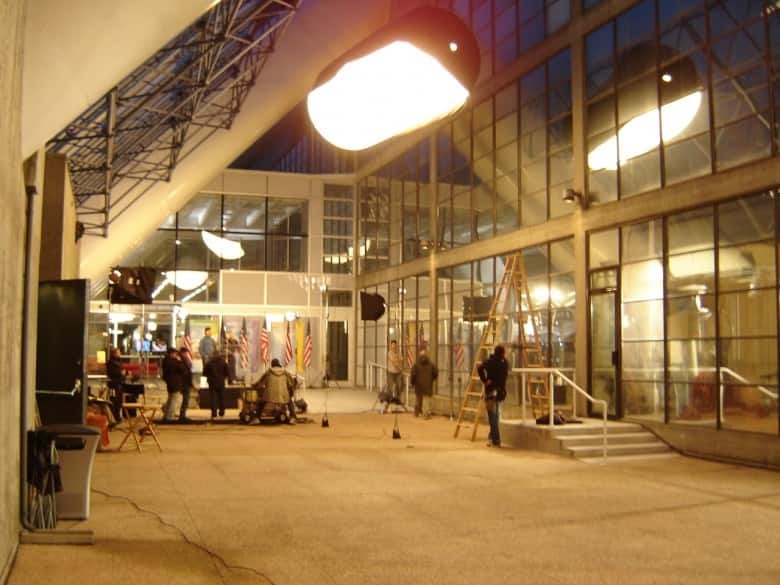 The stark modern architecture offers a unique filming location and have hosted several film shoots including The Flash and Continuum. These spaces are equipped with three phase camlock power and freight elevator access.